It is unfortunate that while most advanced countries like United States of America (USA) are fast realizing importance of products produced through organic farming, India which was pioneer in this field in our golden ancient past, is fast losing products produced from organic farming. In countries like USA, food-grains produced from organic farming and fertilizers made from dung are sold as premium items. Even fabric woven from cotton produced by organic farming is sold as premium products with even dyes and chemicals used for processing being manufactured from products produced through organic farming. Garments and other textile-products made from fabric woven and processed by organic cotton and dyes/chemicals are taken as good for skin to avoid skin-related diseases. 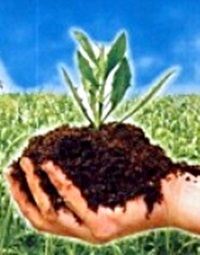 Indian government should encourage organic farming through motivation and compulsions. It should be compulsory for rich owners of big farm-houses to have major portion of their farm-houses being utilized for organic farming. Government should allow cows and buffaloes at big bungalows and farm-houses so that people’s craze for dogs may convert towards cows and buffaloes. सोशल मीडिया के नाम पर यू टीयूब चैनलों और उनके फ़र्ज़ी पत्रकारों के खिलाफ होगी एफआईआर..!